So what is staff augmentation and how it can help? In its simplest form, staff augmentation is an alternative for permanent hires. Individuals or teams are hired to fill short-term positions or supplement a team on a particular project. So when Coca-Cola comes to you with a huge project, you will no longer think, “How the $#%@ is my team supposed to complete that project on time?” Instead, you’ll say, “Sounds good. I’ll put our team on it now,” confident that, with proper staff augmentation, you’ll deliver the solution on time and on budget. Though staff augmentation is often a preferred option, it isn’t your only one. 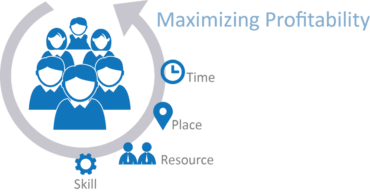 With project outsourcing, you’d take the entire project and place it in the hands of another company, rather than managing it internally with some of your team being augmented staff. Staff Augmentation: You hire temporary staff based on their skill sets and you’re in control of the ultimate result. Project Outsourcing: Results vary depending on the company. You won’t have much control over the result when you outsource. 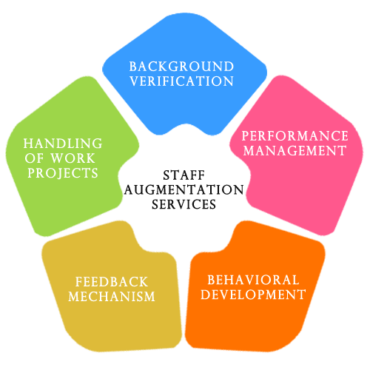 Staff Augmentation: Your team will be trained and integrated to a process with your full control. Project Outsourcing: They’ll have minimal collaboration with your in-house staff. It will be managed through the outsourcer. Direct supervisions are often not possible. Scalability. Your project may grow along the way and you may need to react simultaneously. Staff Augmentation: Your team will need to grow the same way by adding new skilled team members. Project Outsourcing: This option is often more economical because you pay for work volume, rather than for a full time staff. It is the responsibility of the outsourcer to adjust to the increase in workflow. What are the Main Pros of Staff Augmentation? Staff control. You see the big picture and all substantial details in the same time. You can influence the process and stay involved at all stages. Integration. Your permanent team and supplemented staff work as a solid mechanism. Individuals fall into step more effectively and more quickly than separate companies. Expertise. New staff complete your team with new skill sets. Staffing flexibility. It is easy to add or “cut” to match demand. Cost reduction. No need to teach or develop these supplemented employees with new skills, as they’re specifically being hired for their pre-existing skillset. Internal Acceptance. Permanent employees are more likely to work well with supplemented staff quickly rather than with the outsourced organization. What are the Main Cons of Staff Augmentation? Training. You may still need to train your supplemented staff to follow your companies internal processes and embrace the company culture. Management Capability. More staff means more people to manage. Though they should be easy to manage, with little training and guidance, but you’ll still need to have the capacity to manage additional staff. Integrating New Team Members. Bringing new people onto an existing team always slows everything down for a time. As the new staff get to know your company and processes, your team may not work as efficiently as you typically expect. As with everything, there is no “one size fits all” approach. If you are considering Staff augmentation make sure you understand the costs and benefits. In the same way, if you decide to outsource the project, do your research. Choose a company with a great track record of delivery and communication. Staff augmentation is a great solution for short-term projects. It keeps costs down, allows for flexibility in a changing scope, and provides you with the ability to oversee the project at all stages. With staff augmentation you can take on big projects with full control. Go ahead, lead your ship. But keep one thing in mind: in implementing staff augmentation, communication is supremely important. Before choosing staff augmentation be honest with yourself about your company culture. If internal communication is not your strength, choose a different approach. But if you train and communicate with your new staff clearly and effectively, you’ll find that staff augmentation is the key to taking your company to the next level in growth and efficiency. Speed & Function provides both services: staff augmentation and project outsourcing. With over 60 engineers on staff, we can provide your company with the specific expertise you need to supplement your staff, or we can use the great minds of our experienced engineers to collaborate on your large projects.